We convened this meeting as a teleconference using the Zoom.US service on June 25, 2018. James announced that we will be more closely working with Lunarpedia and Spacepedia, two wikis primarily owned by The Moon Society which James is now an officer of. Lunarpedia is being modernized and a new version will be out very soon. Spacepedia was just set up and James will be pursuing a partnership with NSS to help build it out. The three wikis will share common elements such as a similar logo scheme, shared technology components, shared volunteers, and an Interwiki syntax will exist to easily share content. The three wikis will also be marketed and promoted together. We had some discussion of how best to approach NSS and get them engaged on both an organizational and chapter-level. Now that the Recategorization project is completed, we will begin putting all of the changes into place. James will take the lead on that since he can do changes quickly in the backend database if needed. 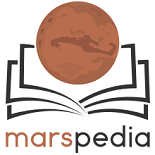 James also has updated Marspedia to use the latest Mediawiki software and updated the version of the VisualEditor. Josh Baldwin has begun work on the Category Picker. James will set up a task board for the Marspedia project and Bruce will send the planning spreadsheet he has for Marspedia so that those items can be integrated. For the next meeting, we will plan on moving the time back to 11am Pacific. This page was last edited on 25 June 2018, at 13:46.